During the summer of 2015 I had a tremendously fulfilling internship with BrandFire Creative Agency. While I was working there, I didn't feel like an intern, but as a valued part of the team. 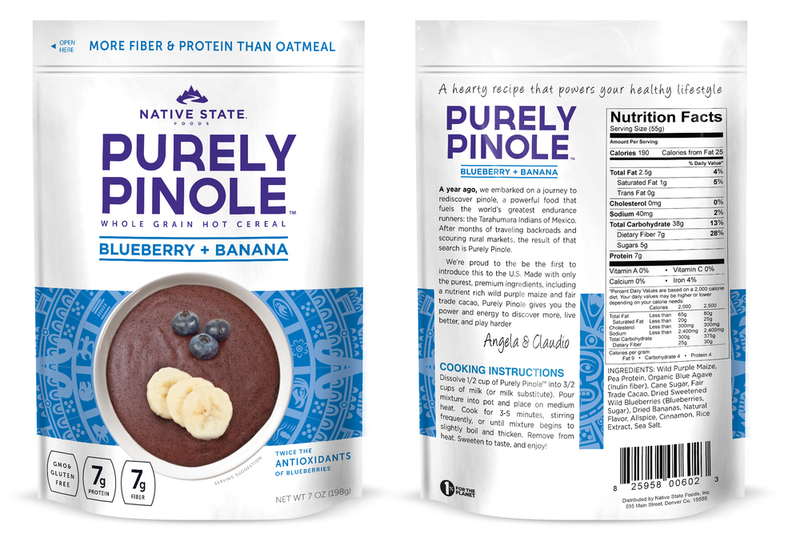 One project that I was most proud to work on was the package design of Purely Pinole. Adam Padilla, Co-founder and Chief Creative Officer of BrandFire, made a rough concept for one SKU of the Purely Pinole package. It was then handed off to me. From there I adapted the concept into print ready files for the product's four flavors under the creative direction of Adam Padilla and Bryan Black. After my internship with BrandFire, they enlisted my help in making a convention booth for Native State, the purveyor of Purely Pinole. This project was done under the creative direction of Bryan Black. I created two distinct booth designs for the client to choose from. Ultimately they chose the design on the right with a few modifications shown in the final version at the bottom of this page.